How to Get thousands of Twitter Followers Fastly in 2014? Now a days these are the common questions, that how to grow your followers, visitors and readers easily on your blog or site. Your blog or website never grew up if you doesn't get the huge population. In short traffic is must for any site. Without traffic your blog wont survive. Now, the market condition become very trendy and vast, people generally buy some followers and viewers through various apps. This post is related to the topic which is based on how to get massive twitter followers easily and fastly. In my previous post i would delivered 10 Amazing Tips and Tricks for Increasing Twitter Followers which is appreciated by many viewers. 1.) Just go to the Twiends app and Sign up there else you can also login to that site with your Twitter Account. 2.) After that you have to give authorization to your Twitter account and than proceed for your further inquiry. 3.) After that you will see the more seeds, just click on that. The more you click on the seeds, more followers you get in that day. Well, I know many of you want to make many followers as soon as possible. 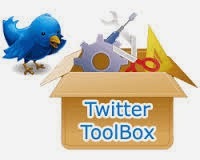 So try out some new and famous tools to increase and boost up your followers. These will help to increase your traffic also. So which are your favorite tool? Also you can mention some ways, tactics and also tools to increase or boost up the twitter followers in the commenting section. Till than keep Blogging! !